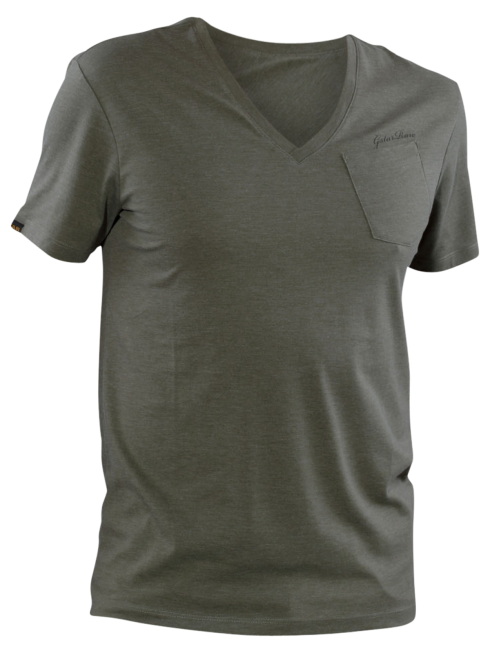 Regular Fit, V-Neck, Short sleeve, 100% Cotton. G-star has been offering denim clothing for men and women since 1989. The brand has carved a niche for itself and offers unique products and is known for a range of denim wear, from simple to bleached and dyed. The processes that the fabric undergoes ensures a distinctive style and texture. The G-Star collection for men includes jeans, tops, and accessories. It is also known for its collection of shoes, particularly those meant to be worn with denims. Shirts -From shirts in dark hues with semi bleached look to long sleeved shirts that promise the comfort of 100% cotton, there are many things to look forward to. Basic white shirts in cotton, perfect for formal wear, and t shirts for casual wear are also available. G-Star also includes polo shirts, cardigans and sweaters. Denim jackets are also a cool casual wear option. Those looking for comfortable seasonal wear can purchase knit shirts or sweatshirts. Jeans –The signature indigo dyed jeans, plain or bleached, are a popular choice for buyers looking to add some style to their wardrobe. The brand is known for its distinctive cuts, so buyers can choose from comfort fits through slim fit styles. The low rise jeans are particularly in fashion this season and would be a good buy for those looking for trendy additions to their wardrobe. Accessories –Adding further flair to the wardrobe would be accessories, that can play up understated denims and shirts or help with clever mix and match styling. Buyers might want to try belts, eyewear and other accessories, that are offered by the brand, to add that special touch to their everyday clothing. On Bebasic, customers will have the option of selecting from a wide range of the brand’s products. They can easily search products by size, fit, and color. For further narrowing down the product offerings, there is the option for the best styles and fits.The online shop also offers discounts so for those who are looking to buy their favorite G-Star products at commendable prices, the items on sale are worth watching out for.